The bottom towel section is made from quality cotton terry towel. 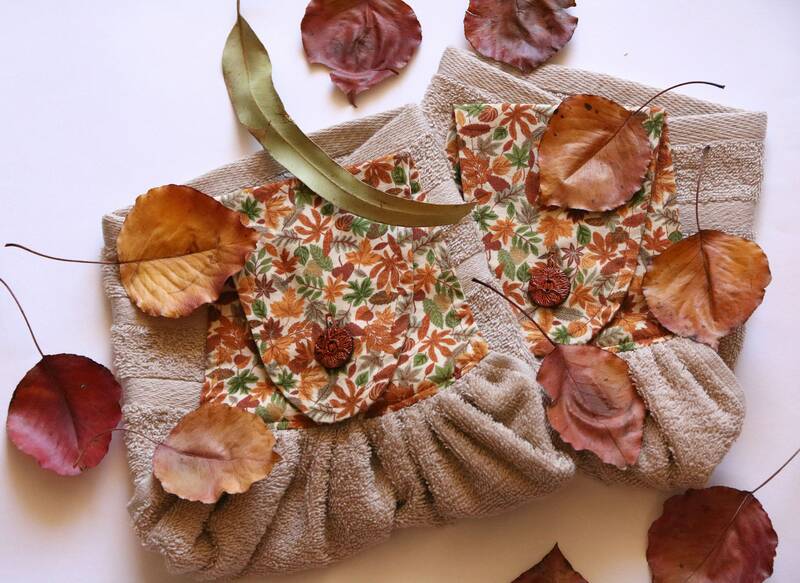 The top is cotton fabric and has an Autumn leaves theme and there is also a row of top stitching for effect and strength. There is a matching button for closure. All purchases will be sent using Australia Post Express Post or Australia Post Standard Airmail with tracking. If you require Registered Post etc., please contact me so that I can give you a firm quote. Insurance coverage can also be added if required. Shipping outside Australia may take several weeks and some countries may require a customs tax which the purchaser WILL HAVE TO PAY.